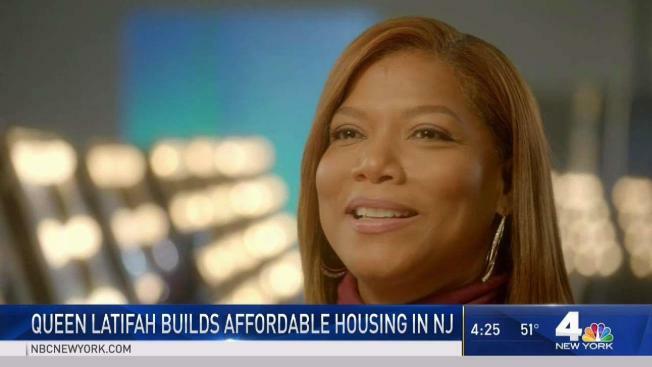 Actress and hip hop artist Queen Latifah is headed back to her New Jersey roots with plans to build a new affordable housing complex in Newark, according to a published report. Actress and hip hop artist Queen Latifah is headed back to her New Jersey roots, according to a published report. The artist plans to build a new affordable housing complex in Newark, but the project comes with a pricey cost. The $14 million project is expected to break ground this summer, NJ.com reports. It will include 23 family townhomes, 16 additional smaller units, a fitness center and a commercial space that will be rented to non-profits. According to NJ.com, the expected construction will take place along Springfield Avenue and South 17th Street. Latifah, co-president of BlueSugar Corporation, is working with GonSosa Development on the project, NJ.com reports. Cristina Pinzon, a spokeswoman for the developers, told NJ.com both companies recognize the need for affordable housing in and around New Jersey’s largest city. The affordable housing building’s apartments will be priced according to a person’s income, NJ.com reports. Meanwhile, the rents for the market rate units will start at around $1,800 a month.